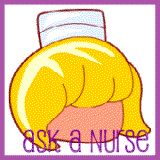 When I was a little girl, I dreamed of being a nurse, and so that's what I became. And I loved it for a long time, but there was always something missing... I looked into a number of stay at home businesses, such as selling specialty merchandise at flea markets, hawking Avon and even becoming a children's book writer. When I was married to my first husband, we even considered starting a franchise fast food business. But none of those kinds of businesses were really "me." Can you relate? What kinds of home businesses have you looked into or tried? In the early 90s, I divorced and the next 10 years were spent mostly on raising my two young daughters and building my career as a home health care manager. It was definitely fulfilling and took all my time and energy, but... in the back of my mind still lingered that dream of being my own boss. By the late 90s, lots of new stuff was causing change in my life... my girls were teenagers and starting to build their own lives apart from me. I met the love of my life, my current husband, Jim. And my nursing career came to a close. I dabbled in technical writing and consumer health writing for a pharmaceutical support firm, but the expectation of being downsized eventually led me to take a big risk and become a freelance writer. Thanks to the contacts I'd made in my previous job, that actually worked out pretty well, with me getting enough work to make ends meet. But I still wasn't fully in control of my own destiny, as my livelihood still depended on them giving me enough work. By that time, I was in love with the Internet and everything it represented. I'd started studying how to start an online home business and in 2000, I started my first website. If I Could Do It, So Could You! When I first started out on this venture, I didn't know anything about building websites. I didn't know anything about working in HTML, the coding language used to build webpages. I didn't know much about graphics or design. I DID know how to write, luckily. The online home business model I decided would be the best fit for me was an informational, or content, website... like this one! Since I love to write, it just made sense. In my studies, I had found a book called Make Your Site Sell, by a former emergency room doctor from Montreal, Canada, called Ken Evoy. 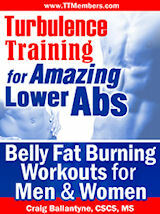 It was a really useful book, written at my level and with tons of easy to digest information. When Dr. Ken launched a new product called Site Build It (or SBI for short), I knew it was just the tool that would enable me to get my first website up and running. I was on my way to having a website — and a dream — that is powered by Site Build It! 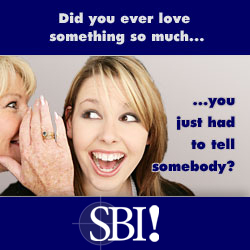 When you build a site with SBI, you don't have to know any of the technical stuff. SBI has easy to use tools and instructions on how to do everything, so even total beginners can use it. You can build quite a sophisticated website, actually. And it's not just the website that Site Build It teaches you to use... it's a business. 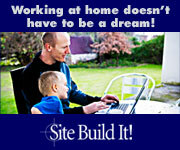 You might say your online home business will be powered by Site Build It! But Are You Wondering What Is SBI Exactly? SBI! is a platform for building a website and a web business with its all-in-one process, tools, and guidance. It's like a complete course in ebusiness. And... you get more than just a "site builder." You don't need to worry about looking for separate webhosting, paying for a separate keyword research tool, handling search engine submissions, integrating autoresponders, etc., etc. Don't worry if you don't even understand what half that stuff means... Site Build It will teach you. What I like best, though, is that they add new tools all the time. I love trying new things, but you only have to use the tools if they make sense for you. Bottom line is, you'll always have the most up-to-date site-building and marketing tools... if & when you're ready for them. The customer support that you get with SBI is really quite unbelievable. I've had access to it for 10 years now, and I still can't believe it. First off, there's the private member forums, where you can get expert help from other SBIers, sometimes within minutes. Remember Dr. Ken, the guy who started SBI? Well, he's on the forums all the time too, posting and answering and offering life lessons. He truly is the "heart" of SBI. How many multimillion dollar company owners do you know who regularly correspond one on one with their customers? If you need technical support, there's a responsive and caring help team available too. They get back to you quickly, usually with a "can do" attitude. There's also a ton of reference material, both written and really useful videos to help you every step along the way. But, if all that's not enough, you can always buy some coaching from other Site Build It users. They'll work with you for an hour, a week or longer... whatever you need and can afford. Well, the simple answer is... "SBI works." 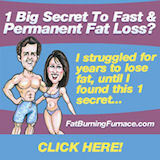 If you follow the system step by step, you WILL succeed. I did... in fact I have 8 Site Build It websites. How about you... Do you have a passion? Are you a work at home mom (or dad) looking for a way to make money while preserving quality time with your kids? Or maybe you're disabled or housebound and need to make some extra money? Or you're nearing retirement age and would like a nice little nest egg to supplement Social Security or your pension? Or, you could just be like me and be someone who doesn't want to work in the corporate rat race any longer, who wants to be your own boss, in control of your own destiny for a change. As you can see, my topics are all over the place. 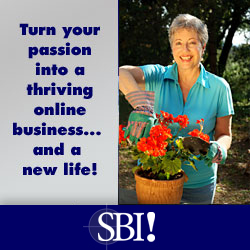 You can also see hundreds of other SBI websites here — there's an unbelievable variety of topics. And if you have any questions at all about Site Build It, then feel free to email me or ask a question of the SBI experts. If you should decide to go ahead and pursue your own dream of a home business that's powered by Site Build It, and believe me it's totally up to you to decide if that's the right decision for you, then please be sure to let me know. I'd love to be available to you as a sort of informal coach or go-to expert. 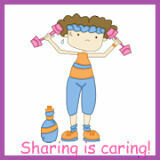 I take care of my friends!